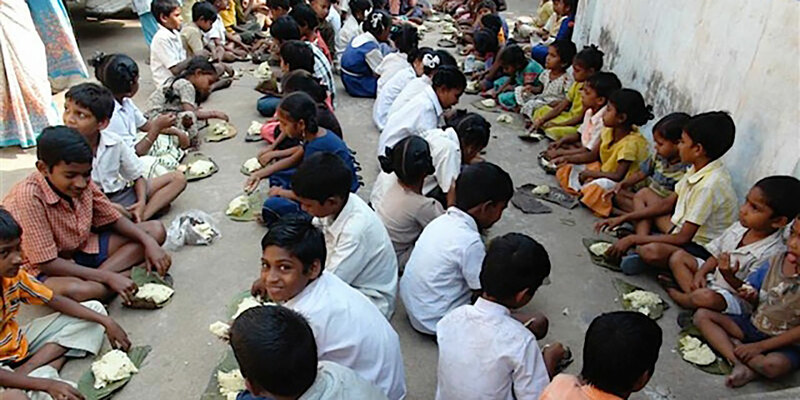 Thousands of Indian children living in the streets suffer daily due to lack of proper nutrition. These children are faced with blindness and a variety of other illnesses that only proper nutrition can relieve. India is a third-world country in which the general population is poor, illiterate and basically ignorant of the importance of hygiene and sanitation. Because of these deplorable conditions, a vast majority of Indian families are unable to take proper care of their children. Due to this extreme poverty, many parents have little choice but to leave their children on the streets. In order to survive, these precious children must resort to begging in the streets, market places and even house to house. Since nutrient requirements are greater among children, pregnant women and lactating mothers, this makes a dire situation even worse. Adding to the plight of these hungry children is the fact that they have no place to lay their precious heads at night with only the Big Dipper acting as their "roof." Please help us to help these children by giving as God has enabled you to give. 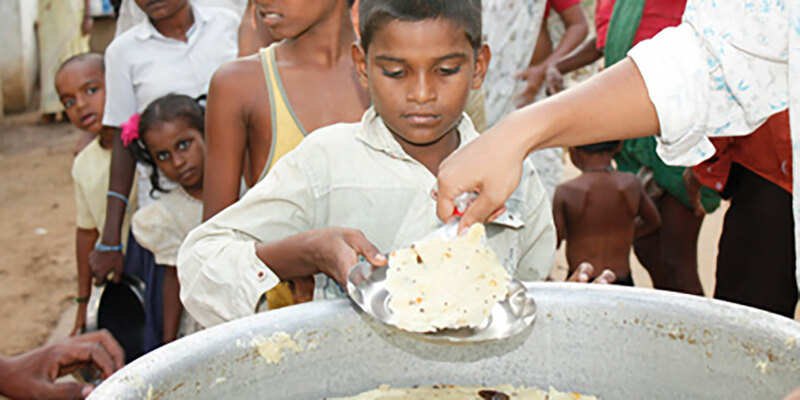 Upma is served to the street children daily. Upma is made from parts of the rice and wheat grain; adding onions, peanuts and spices, it makes a hot nutritious meal for the kids. 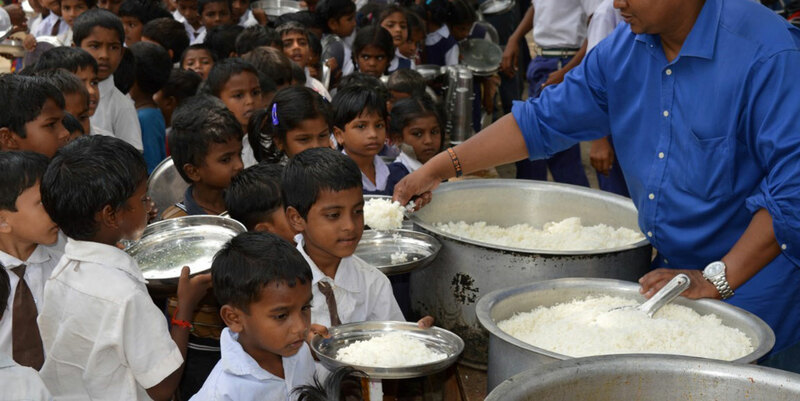 A large pot of steaming upma feeds over 100 children. 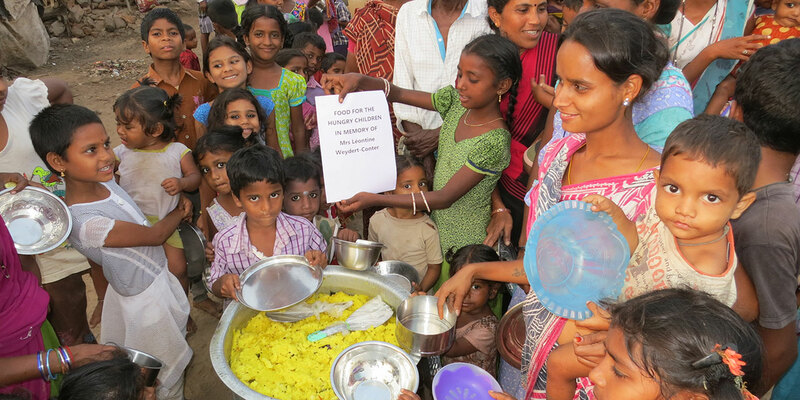 To Sponsor a street children feeding station for $200.